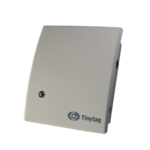 Help and support for Tinytag CO2 data loggers, including FAQs, datasheets and technical documents. Tinytag CO2 loggers can play a key role in helping to verify that indoor ventilation systems are performing correctly: areas with poor ventilation can lead to a build-up in CO2 levels which can cause reduced concentration levels in occupants and in some cases can lead to health problems. Please select your logger model from the list below.